It is a season of hubris for Obamacare’s critics. The website is behind schedule, the administration turns out to have misled the public when it insisted nobody would have to change plans, and the roughly 5 percent of Americans with plans on the individual-health-insurance market have been thrown into a panic amid a storm of cancellation notices. This is certainly a political victory for the Republican Party, which has turned the page from its shutdown debacle and found a batch of investigative strings to pull on, administration officials to torment, and new ways to throw red-state Democrats on the defensive. Weeks like this one will continue through this year, and at least for a while into the next one. But conservatives want this moment to represent something more than a political victory. 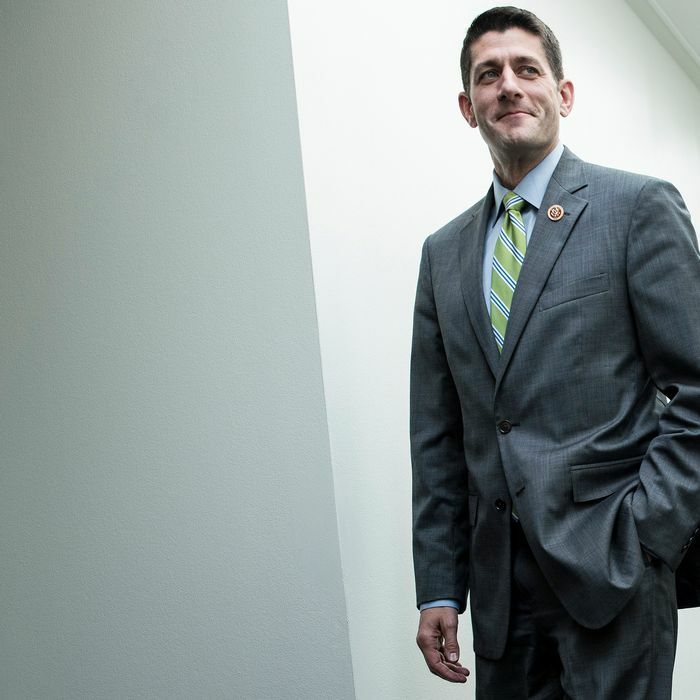 They sense an ideological victory: the discrediting of the Affordable Care Act as a policy model, a new opportunity for them to substitute their own vision. And there they are not only mistaken but deluding themselves in the fundamental way they have deluded themselves all along. The single most salient fact about Obamacare to conservatives is that it is unpopular. This is true. What conservatives have never fully acknowledged is that its lack of popularity reflects not a broad agreement with the right’s ideological critique but a deep aversion to change. The paradox of health-care policy is that the failures of the system — its ever-rising costs, its complexity, the constant lurking fear of losing insurance and risking catastrophe — makes people more resistant to change it, because they associate change with risk. The Obama administration designed its health-care reform to accommodate this fear of change as best it could. It left the employer system in place. It mostly reorganized the individual market, which is small, trying to turn it into a rough facsimile of the employer-based market. Now, Obama’s attempts to minimize disruption to the status quo did not completely eliminate disruption to the status quo. The individual market is being roiled. 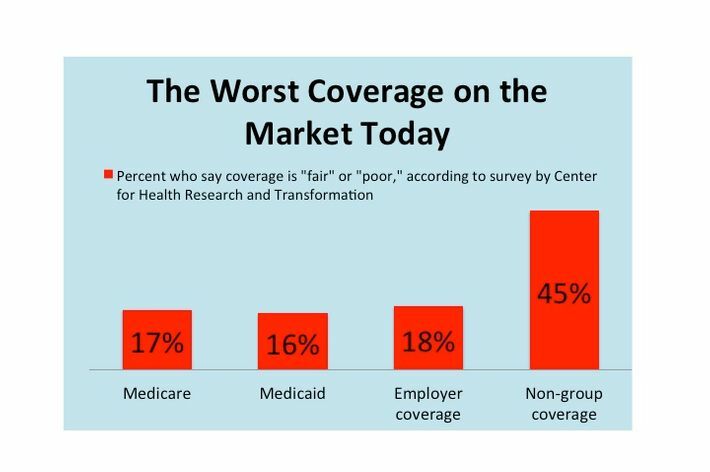 The employer-based health-insurance system is much more popular than the individual market. It’s also much more redistributive. The 25-year-old male in the loading dock has to pay the same premiums as the diabetic 60-year-old in accounting. Is this injustice an important part of the political discourse? How often do you hear people complain about it? Every iteration of an alternative conservative health-care proposal would impose far more disruption on the status quo than would Obamacare. Most conservative plans involve drastically curtailing the tax deduction for employer-based insurance. That would create cancellation notices for many times the number of people currently seeing them. Even the more modest plans to scale back Obama’s regulation of the individual market would run the GOP into a political minefield. Which regulations do they want to strip away? Discrimination against people with preexisting conditions? Discrimination against potentially pregnant women? Mental-health parity? Every single one of those changes creates millions of angry potential victims. This is exactly why the actual Republican Party health-care plan is not repeal and replace, but repeal and cackle. Republicans are on strong ground exploiting fear of change. They have understood perfectly well that they must avoid having to defend a different set of changes to the status quo. They have kept their various replace ideas safely to the side for exactly that reason. And nothing that has happened since has fundamentally changed that. Republicans in red states have tools at their disposal to block insurance subsidies for the poorest Americans. They have political tools to embarrass Obama and his allies. They lack the votes to repeal Obamacare, and will continue to lack them for at least three more years. And by that point, a large number of the people whose interests they have so intently ignored — the uninsured — will be within the system, and will have joined the ranks of those benefiting from the status quo and resisting change to it. The current uproar that conservatives take as affirmation of their deregulatory vision is merely the same change aversion that has buoyed them all along. Yet that is the very force that is going to make the fulfillment of their alternative vision impossible.